Our clothes shop is located in the Warws Werdd, on Cibyn Industrial Estate, Caernarfon. We have a great choice of second-hand clothes for amazing prices! If you’d like to update your wardrobe, pop in to see our large choice of clothes. 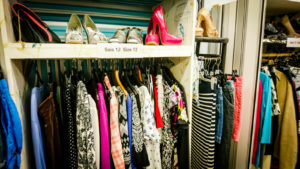 We also collect second-hand clothes, so if you have any unwanted clothes to donate, why not donate them to us?